As strategic alliances go, they don't come much bigger than yesterday's news that Intel and Nokia are teaming up to create what they describe as "a new class of mobile device." That's the world's biggest chip maker and the global leader in communications shacking up. Tantalising stuff, no doubt. However, actual details in yesterday's announcement were frustratingly thin. Needless to say, we want to know much more. Who better, therefore, to grill than Rod O'Shea, Intel's embedded technology head honcho in Europe and its local expert on the company's plans regarding the Nokia deal? O'Shea isn't able to shed too much more light on the specific implications of the Intel-Nokia tie up. Asked whether the deal falls within Intel's existing ultramobile Atom roadmap, for instance, O'Shea told us that it's too early to comment on product details, though he did confirm that as far as Intel is concerned, "low power computing is Atom." Nor can he expand on the intriguing but vague suggestion made by Intel's global mobile guru, Anand Chandrasekher, that the partnership will lead to innovative new devices that break new ground for "size, shape, material and screen technology". To cut a long story short, for now both Intel and Nokia are keeping their cards very close to their chests on this one. Both Chandrasekher and O'Shea have refused to be drawn on a timeframe for when the first fruits of this alliance will appear. So, what do we actually know? 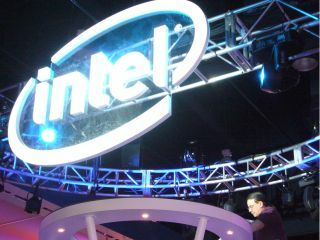 One thing that has been confirmed is that the chips involved will indeed be based on Intel's x86 architecture. Fully PC compatible, in other words. Slightly confusing the matter, however, was insistence from Nokia's Kai Öistämö yesterday that the deal would have "no impact" on the Finnish firm's relationships with its various ARM processor partners. The question is: how can it not have an impact? We also know that the devices will deliver the "full internet" in a pocketable form factor and also support voice communications. All of which makes this "new class of device" sound an awful lot like a smartphone even if both Intel and Nokia are conspicuously reluctant to use that baggage-ladden term. The other major piece of the puzzle, of course, is software. This is probably the least mysterious part of the deal: the operating system of choice will be Linux, most probably Moblin or Maemo flavoured, although it's unclear whether the deal will preclude Nokia from joining the Google Android bandwagon.